This level actually compares pretty favorably with the market at large, as the PE for the S&P 500 stands at about 18.17. 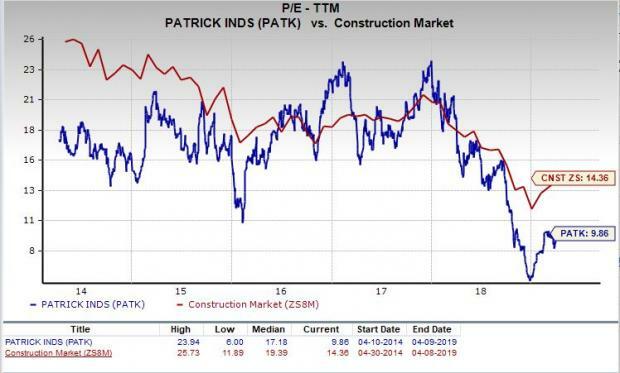 If we focus on the long-term PE trend, Patrick’s current PE level puts it below its midpoint over the past five years. 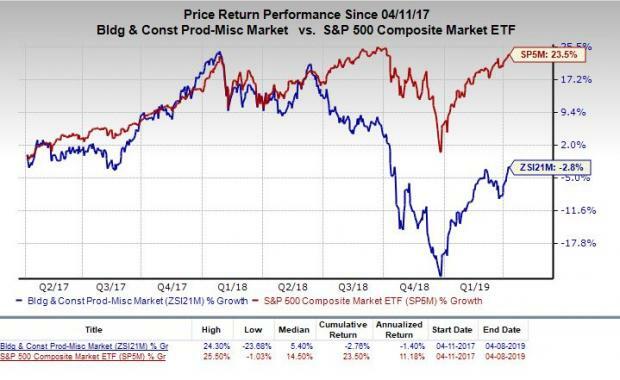 Further, the stock’s PE also compares favorably with the Zacks Construction sector’s trailing twelve months PE ratio, which stands at 14.36. At the very least, this indicates that the stock is relatively undervalued right now, compared to its peers. 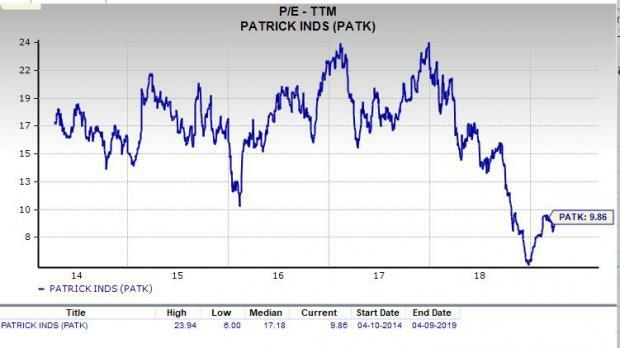 We should also point out that Patrick has a forward PE ratio (price relative to this year’s earnings) of just 9.88, which is tad higher than the current level. 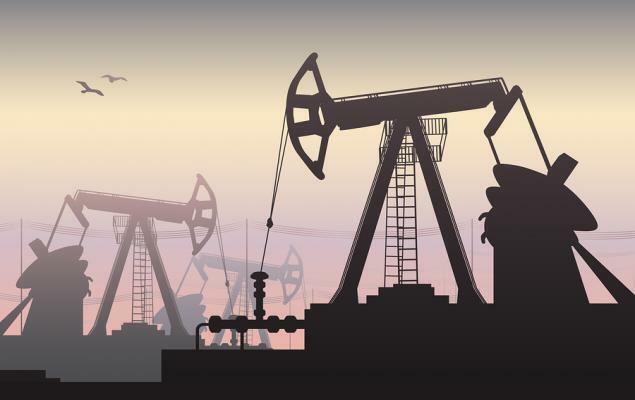 So it is fair to expect an increase in the company’s share price in the near term. Right now, Patrick has a P/S ratio of about 0.48. This is significantly lower than the S&P 500 average, which comes in at 3.31 right now. Also, as we can see in the chart below, this is below the highs for this stock in particular over the past few years. 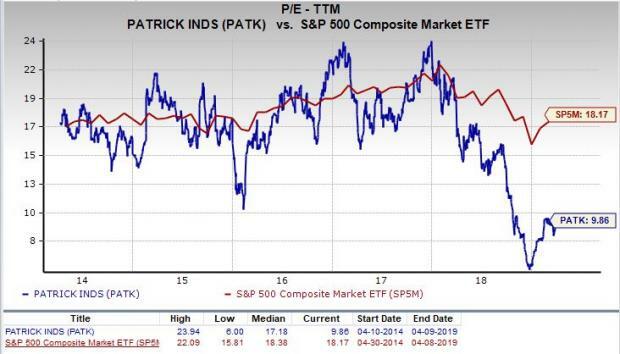 If anything, PATK is near the lower end of its range in the time period from a P/S metric, suggesting some level of undervalued trading—at least compared to historical norms. In aggregate, Patrick currently has a Value Score of A, putting it into the top 20% of all stocks we cover from this look. This makes Patrick a solid choice for value investors, and some of its other key metrics make this pretty clear too. For example, the PEG ratio for Patrick is just 0.88, a level that is lower than the industry average of 1.37. 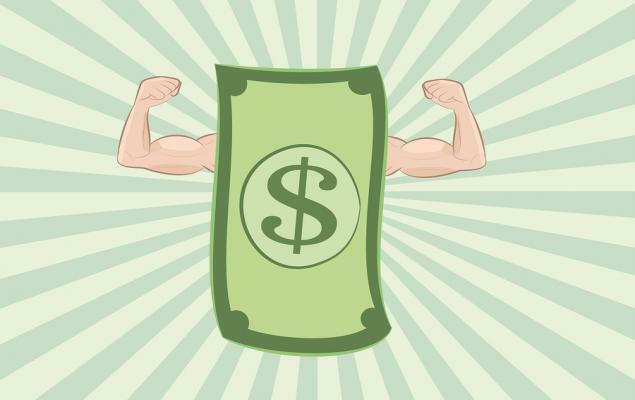 The PEG ratio is a modified PE ratio that takes into account the stock’s earnings growth rate. Additionally, the P/CF ratio for Patrick came in at 6.50, which is a bit lower than the industry average of 9.60. Clearly, Patrick is a solid choice on the value front from multiple angles. Meanwhile, the company’s recent earnings estimates have been mixed at best. The current quarter has seen two estimates go lower in the past sixty days compared to no movement in the opposite direction, while the current year estimate has seen no downward revision compared to three upward in the same time period. Despite the mixed analyst sentiments, the stock holds a Zacks Rank #2 (Buy). This indicates robust fundamentals and expectations of outperformance in the near term. 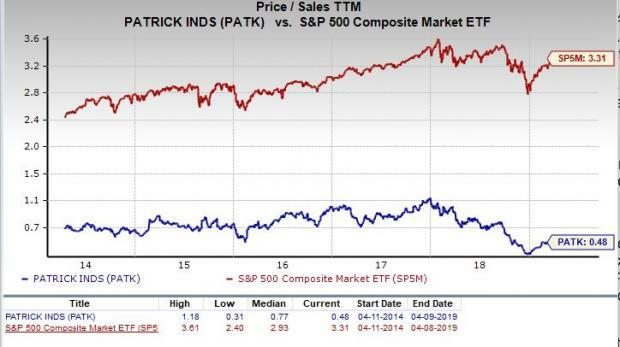 Patrick is an inspired choice for value investors, as it is hard to beat its incredible line up of statistics on this front. A bullish Zacks Rank #2 further instils our confidence.